The Carmel Valley property is built to withstand a 5 megaton bomb. If you're in the market for a new house, you can now purchase your very own nuclear bomb-proof science station. 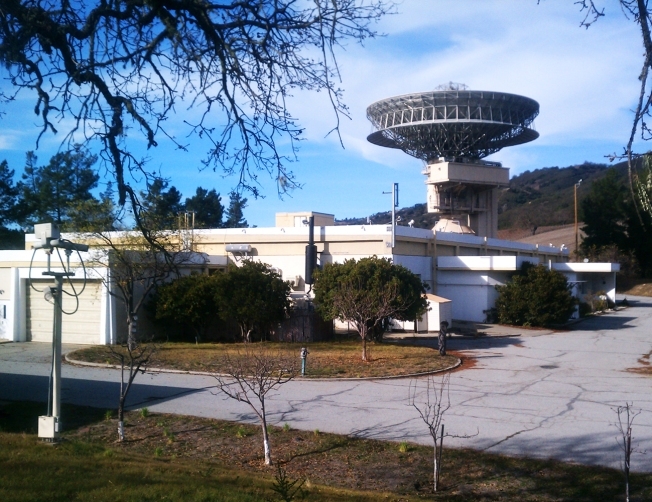 The Jamesburg Earth Station in Carmel Valley is on sale and can be yours for a cool $2,950,000, according to our sister station KSBW. For the price, you'll get the 20,000 square foot facility, 160 acres of land, a helicopter landing pad, three bedroom house, basketball court, barn, and even two of private wells. If that's not enough, the complex also takes home security to a whole new level. Built in the 1960's at the height of a nuclear arms race between the U.S. and Soviet Union, the building is equipped to handle a 5 megaton nuclear blast. If you can fork over the cash, you may be able to own a piece of history. The Jamesburg Earth Station was the first to receive live images from the Apollo 11 landing on the moon in 1969. The station broadcast the images, letting the rest of the world take part in the historic event. As the owner of the property, you could also start your own international television station. The property comes with an 11-story tall antenna and satellite that can directly broadcast to Asia, South America, the South Pacific, and the United States. The Station was closed down by the government in 2002, and sold to a millionaire who lives in the Silicon Valley. The owner hopes to sell the property with the satellite intact, although buyers have offered to demolish it and sell it for scrap metal. The property was originally listed for $4.2 million, but now at under $3 million, it's considered a steal.